Naim Araidi (1950-2015), a Israeli Druze poet and professor of literature, was born in Kfar Maghar, Israel. After completing his military service, he studied Hebrew language, literature and political science at Haifa University. 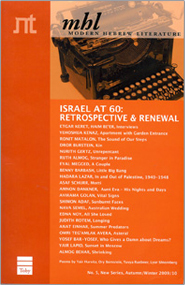 In 1989 he received his PhD from Bar Ilan University for his thesis on the poetry of Uri Zvi Greenberg. Araidi lectured on literature, Hebrew and education at the Gordon College of Education and served as the Director of the Children's Literature Center at the Arab College in Haifa. In 2012, he was appointed as ambassador to Norway where he served until 2014. 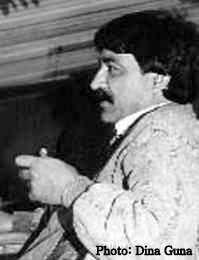 Best known as a poet, Araidi published books of poetry and prose both in Arabic and Hebrew. He received the Prime Minister's Prize for Arabic Literature (1984), the Prime Minister's Prize for Hebrew Literature twice (1987; 2009), the Senate of Paris Award (1990), an Honorary Doctorate from the International Center for Poetry in the U.S. (1991) and the 'Omanut La'am' Award for the Promotion of Culture in Israel (1993).